"The Height and Weight of Canadian Major League Hocley Players, 1901-2010" in J. Wilson and R. Pomfret, eds, Insights into the Economic History of the Sports Industry (Edward Elgar 2019). “Reverse Assimilation? Immigrants in the Canadian Labour Market During the Great Depression,” European Review of Economic History (2016) 20: 299-321, w. C.Minns, F.Summerfield. 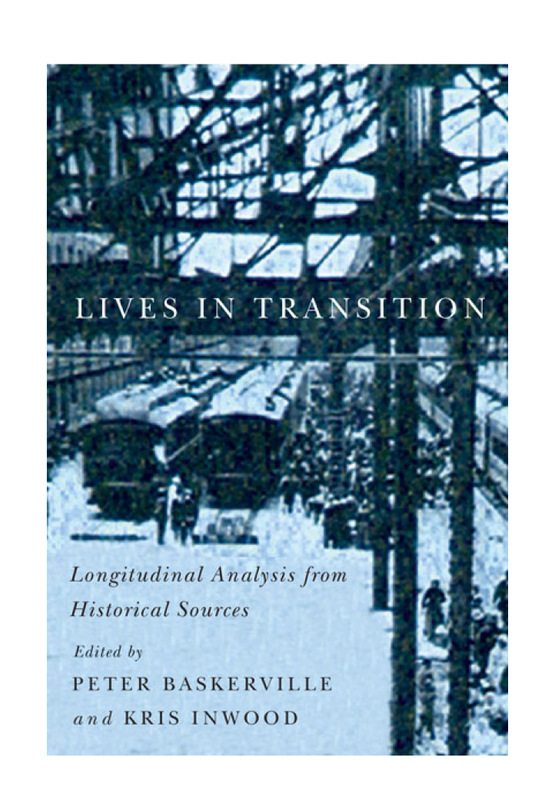 Lives in Transition: Longitudinal Analysis from Historical Sources (McGill-Queens University Press, 2015), with Peter Baskerville. “Physical well-being and ethnic inequality in New Zealand prisons, 1840-1975,” History of the Family 20 (2015): 250-270 w. L. Oxley & E. Roberts. "Growing incomes, growing people in nineteenth-century Tasmania," Australian Economic History Review 55 (2015): 187–211 w. H. Maxwell-Stewart, D. Oxley & J. Stankovich. “The Aboriginal Population and the 1891 Census of Canada”, pp 95-116 in P. Axelsson and P. Skold eds., Indigenous Peoples and Demography: The Complex Relation Between Identity and Statistics (New York: Bergahn, April 2011), w M.Hamilton. “The Social Consequences of Legal Reform: Women and Property in a Canadian Community,” Continuity and Change v19 n1 (winter 2004), pp. 165-197 w S. Van Sligtenhorst. “Gender and Occupational Identity in a Canadian Census,” Historical Methods v32 n2 (Spring 2001), pp 57‑70, w. R.Reid. "The Survival of Handloom Weaving in Rural Canada circa 1870," Journal of Economic History v54 n2 (June 1993), pp. 346-358, w P.Wagg. Farm, Factory and Fortune: New Studies in the Economic History of the Maritime Provinces (Fredericton: Acadiensis Press, 1993).